Atop of St Peter’s Basilica is an awesome view of Rome and St Peter’s Square. It is well worth the climb up the basilica’s stares to behold a breathtaking view of Rome and Tiber River. 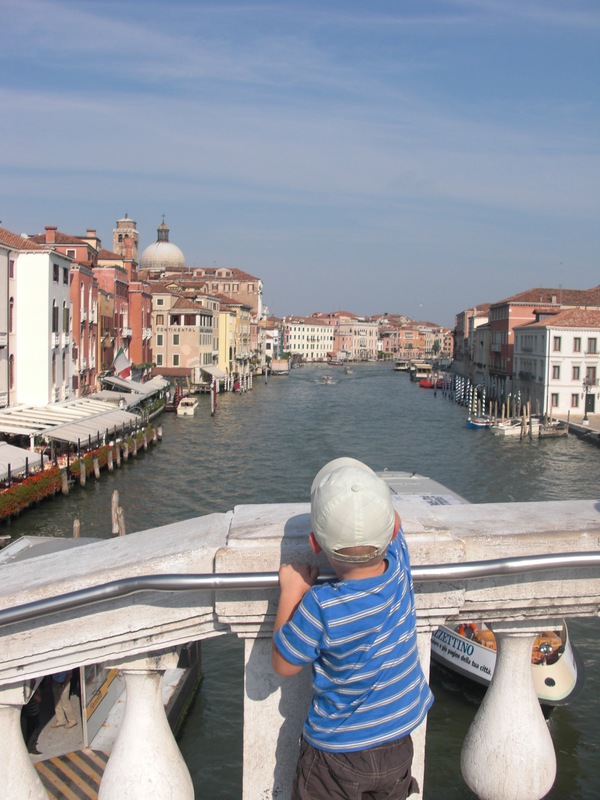 Captured a quick moment in which a child had to stand a top his tippy toes in order to catch a view of a boat which was about to come pass into the shadows of one of Venice’s main bridges.